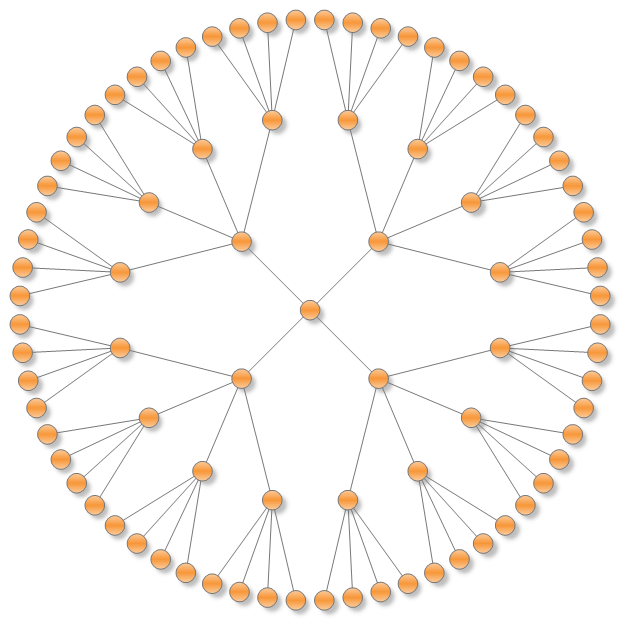 The Radial Graph Layout, layouts the graphs in concentric circles. The vertices with no predecessors are placed in the center and their descendants are placed on the next circle and so on. It produces a straight line graph drawing.